amputated, according to her representative. 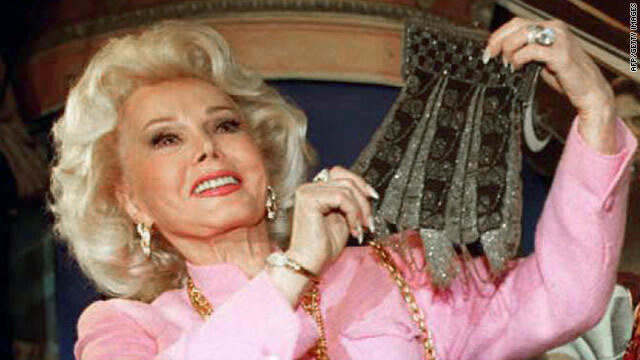 Gabor's legs, and gangrene is imminent. Gabor (seen in 1996 above) was being prepared for surgery Sunday night. Her leg will be amputated below the knee, Blanchette said. President Barack Obama signed the 9/11 health bill into law in Hawaii on Sunday, White House spokesman Bill Burton said. 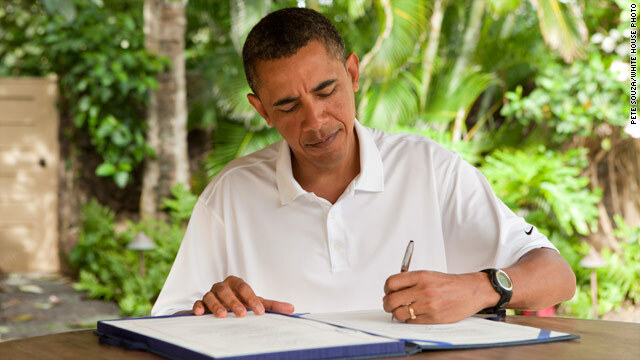 Obama signed the bill during his Hawaiian vacation, with no signing ceremony held. In a statement issued later, the president said he was "honored" to sign the bill, which pays for health care for responders believed to have been sickened by pollution at the ruins of the World Trade Center in New York. "We will never forget the selfless courage demonstrated by the firefighters, police officers, and first responders who risked their lives to save others," Obama said. "I believe this is a critical step for those who continue to bear the physical scars of those attacks." Iran said Sunday it had shot down what it described as two Western spy planes over the Persian Gulf, according to Iranian media reports. Brig. 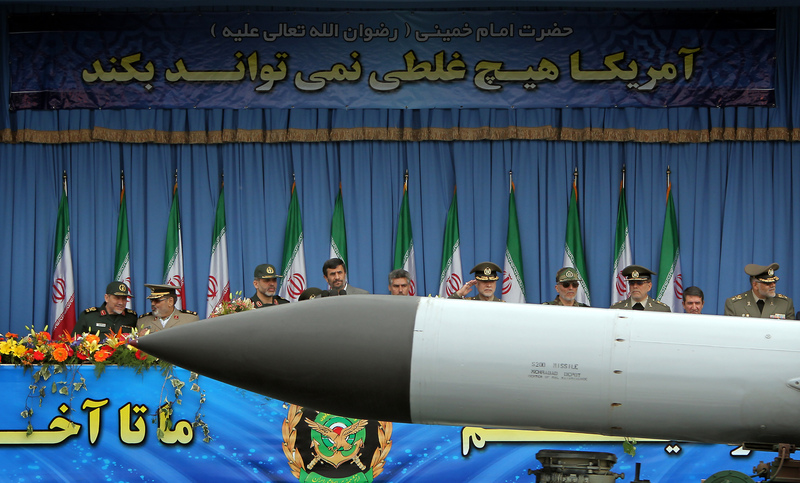 Gen. Amir Ali Hajizadeh, air force commander for Iran's Islamic Revolution Guard Corps, made the comments to Payam Engelab, or Message of the Revolution, an internal Islamic Revolution Guard Corps publication, according to the semi-official Fars news agency. He described the aircraft as a spy drone "which can take pictures," according to state-run Press TV, which cited Fars. However, he did not say when the incident occurred or give more specifics. A U.S. military official said Sunday that the United States is not aware of missing drones in the region. Arkansas game officials hope testing scheduled to begin Monday will solve the mystery of why up to 5,000 birds fell from the sky just before midnight New Year's Eve. The birds - most of which were dead - were red-winged blackbirds and starlings, and they were found within a one-mile area of Beebe, about 40 miles northeast of Little Rock, the Arkansas Game and Fish Commission said. Birds fell over about a one-mile area, the commission said in a statement. As of Saturday, between 4,000 and 5,000 birds had been found dead, the commission's Keith Stephens said. With temporary funding for the U.S. government not expiring until March and with President Obama's next budget proposal not expected to be submitted to Congress until mid-February, congressional squabbles over spending could take weeks. But the House already is expected to start debate Thursday on cutting funding for legislative activities by 5%, which incoming House Speaker John Boehner says could save $25 million to $30 million a year. The Senate, meanwhile, could start considering changes this week to its rules on filibusters, those maneuvers that the minority party often uses to delay or kill legislation. Democrats are returning to the chamber with a diminished majority and want to weaken the filibuster and other moves that senators can use to block bills. One option is to eliminate a rule that requires 60 votes to bring a bill to a final vote. Another is to prevent the ability of a single, anonymous senator to prevent a bill from coming to the floor. Yet another is to force senators who want to filibuster to speak at length. While Republicans prepare to take the House, Republican National Committee chief Michael Steele is fighting to keep his job. On Monday, the Susan B. Anthony List and Americans for Tax Reform will stage a debate between Steele and five candidates who are challenging him. Steele is up for re-election later this month. Will Ivory Coast's presidential standoff lead to military conflict? Leaders of three West African countries are expected to meet with Ivory Coast's self-declared President Laurent Gbagbo on Monday to ask him to relinquish his post or face a military ouster. Gbagbo has claimed he won a November 28 election, but a growing international bloc - including the United States and the United Nations - has recognized his challenger, Alassane Ouattara, as the winner. Each has ignored the other's deadline to stand down. Ouattara, holed up in a hotel in the capital since the election, has formed a government and made new diplomatic assignments. On the other side of Africa, Southern Sudan is preparing for a January 9 referendum that could see the region split from Northern Sudan. The referendum is part of a 2005 peace agreement that ended two decades of violence between the North and oil-rich South - a conflict that led to the deaths of 2 million people, many from starvation. The impending vote has sparked fears of renewed violence, but Sudan's president, Omar al-Bashir, has said he will accept the results. About 1,000 people are expected to be evacuated from their homes in the coming days in Queensland, Australia, because of flooding that has covered an area larger than France and Germany combined, Queensland officials say. An emergency management spokesman in Queensland said floodwater is receding in certain areas but is also flooding some towns as it recedes. 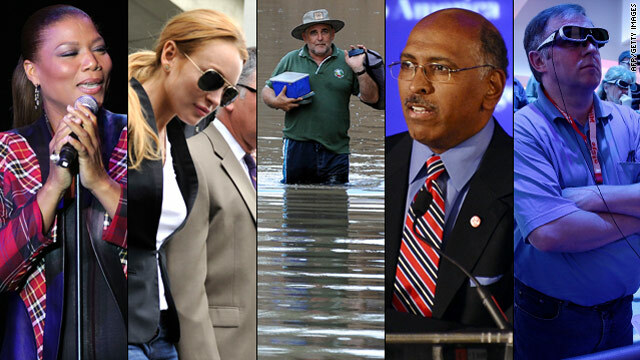 At least one person has died as a result of the flooding, electricity has been intentionally cut in severely flooded areas and a regional airport is expected to be closed for weeks. 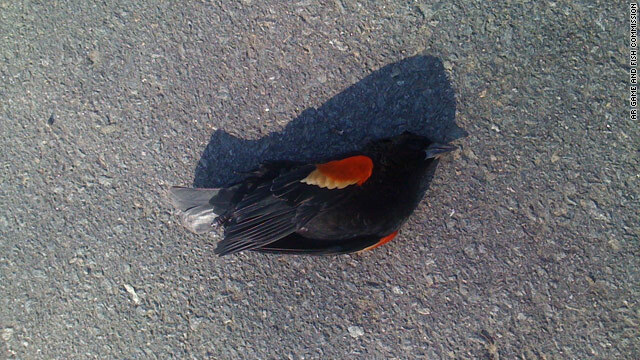 What caused thousands of blackbirds to die in Arkansas? Arkansas game officials hope testing scheduled to begin Monday will solve the mystery of why up to 5,000 blackbirds fell from the sky just before midnight New Year's Eve. The birds, most of which were dead, were found within a one-mile area of Beebe, about 40 miles northeast of Little Rock, the Arkansas Game and Fish Commission said. An ornithologist for the commission said such an incident could be caused by a lightning strike or high-altitude hail, and another commission member said biologists believe the deaths were stress-related from either fireworks or weather. Meanwhile, Arkansas officials also are investigating the deaths of an estimated 100,000 fish about 125 miles to the west. Freedom for Lindsay Lohan; Queen Latifah hosting "People's Choice Awards"
After several months of court-ordered rehab, actress Lindsay Lohan reportedly is set to check out of the Betty Ford clinic on Tuesday. Fans and critics alike are anxious to learn what the embattled starlet's next career move will be now that she is no longer attached to the Linda Lovelace biopic, "Inferno." On Wednesday, the public will deliver its verdicts on movies, music and television during the 2011 "People's Choice Awards," hosted by Queen Latifah. More than 35 million votes were cast for the awards ceremony, which aims to reveal the public's favorites in numerous entertainment categories. The show will air live on CBS starting at 9 p.m. EST from the Nokia Theater in Los Angeles. The year's biggest technology trade show kicks off Wednesday in Las Vegas, Nevada, with tech titans including Microsoft, Samsung and Sony set to unveil their latest gadgets. Sometimes called the "Super Bowl of tech," the Consumer Electronics Show is expected to attract more than 100,000 industry players. Tablet computers, smartphones and 3D televisions are expected to be among the big items this year, and our Tech section will be watching. 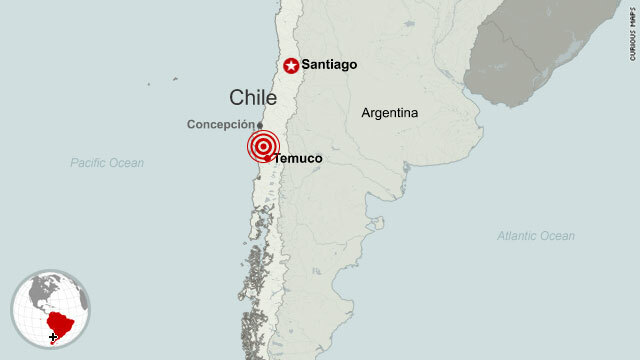 A 7.1-magnitude earthquake struck the coastal area of Chile on Sunday, some 69 kilometers (43 miles) northwest of Temuco, the U.S. Geological Survey said. The jawbone of an endangered blue whale is now in the backyard of a home in Northern California, according to the San Francisco Chronicle. 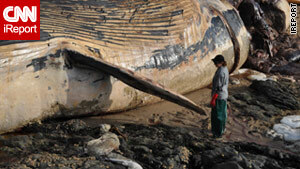 The whale, which was pregnant, had apparently died after colliding with a ship. It washed ashore off the San Mateo County coast in October, as seen in the photo above. Elementary-school teacher Dan Sudran, known for his hands-on approach to getting kids excited about science, told the newspaper that he wanted the bone to go to Pescadero Elementary School, where he works. Here was an 80-foot blue whale on shore, a rare event. The last whale of its kind washed up in 1979. Sudran quickly got to work and obtained the necessary permits to transport the whale's jaw bone - which measures 20 feet - to his backyard. It will be on display at the school. A curriculum is being designed around it that will provide lessons in reading, science and ocean life, the paper reports. The whale's remaining bones are going to other institutions.